This page is about the American premium twin-engine fighter XP-38G. For the regular version, see P-38G-1. For other uses, see P-38 (Family). The XP-38G is a premium rank II American twin-engine fighter with a battle rating of 3.0 (AB) and 3.3 (RB/SB). It was in the game since the start of the Open Beta Test prior to Update 1.27. It is available to be bought at the Gaijin Store in the "USA Pacific Campaign (1941-1942)" pack. The XP-38G very similar to the P-38G. It has most of its fine handling characteristics, speed, and armament. It should be used a strike fighter. Being a twin-boomed fighter, the XP-38 is slightly less manoeuverable than its counterparts. However, it has a very small turn radius in return. The P-38 has an extremely high rate of climb and a high speed. Use it as a strike fighter- target bombers and lone fighters. Always side-climb to gain altitude over your opponent. 38 mm Bulletproof glass in cockpit top front. 6.5 mm Steel plates in the nose. 6.5 mm Steel plates in pilot's seat. 9.5 mm Steel plate in pilot's headrest. The armament on the XP-38G is extremely powerful. A single 20mm cannon combined with 4 M2s in the nose make a devastating, accurate combination. The XP-38G can effectively slice wings in half due to its extremely accurate weapons. 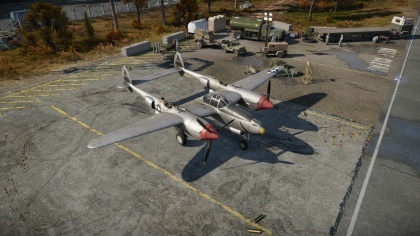 Utilize the P-38 as a strike fighter. 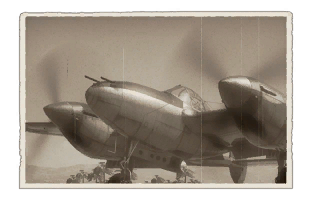 The P-38 has very good energy retention and climb speed, so mainly use it as a BnZ fighter. However, it can be an effective turn fighter against less maneuverable opponents. Be warned, however, that once at a low speed and altitude the P-38 is a sitting duck. It is a very large fighter and easy to destroy. The best cure is being prepared. Always maintain a high, safe altitude. If you have to, the P-38 is best in a flat dive. It's roll rate can be used to its advantage as well. Use diving and climbing maneuvers to get out of trouble. Avoid turning to counter opponents, unless they are less manoeuvrable. This page was last edited on 12 April 2019, at 01:42.